Benedict Cumberbatch gets a trippy (multiple) reality check in the first full trailer for "Doctor Strange," another upcoming Marvel superhero movie. But unlike most other Marvel flicks, this one has a decidedly more psychedelic, mystical tone. The trailer gives us the broad strokes of the story: Dr. Stephen Strange is a gifted surgeon whose hands become crippled in an accident. Then, he meets the Ancient One (Tilda Swinton), who reveals that this reality is "one of many." Ever the doctor, Strange is skeptical at first. "I don't believe in fairy tales about chakras or energy or the power of belief." But after seeing some astonishing things — bending cityscapes, a la "Inception" — he's begging to learn. 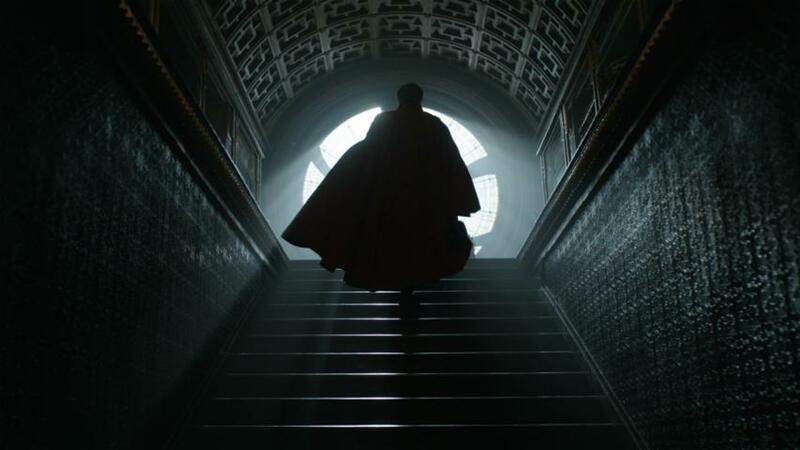 "Doctor Strange," which also stars Rachel McAdams, Chiwetel Ejiofor, and Mads Mikkelson, hits theaters November 4.